It doesn’t matter if your home course is like Augusta, Disgusta, or somewhere in between. Just wander the fairways of any of the more than 18,000 courses nationwide, and you will quickly discover there are certain universal golfer types that can always be found. 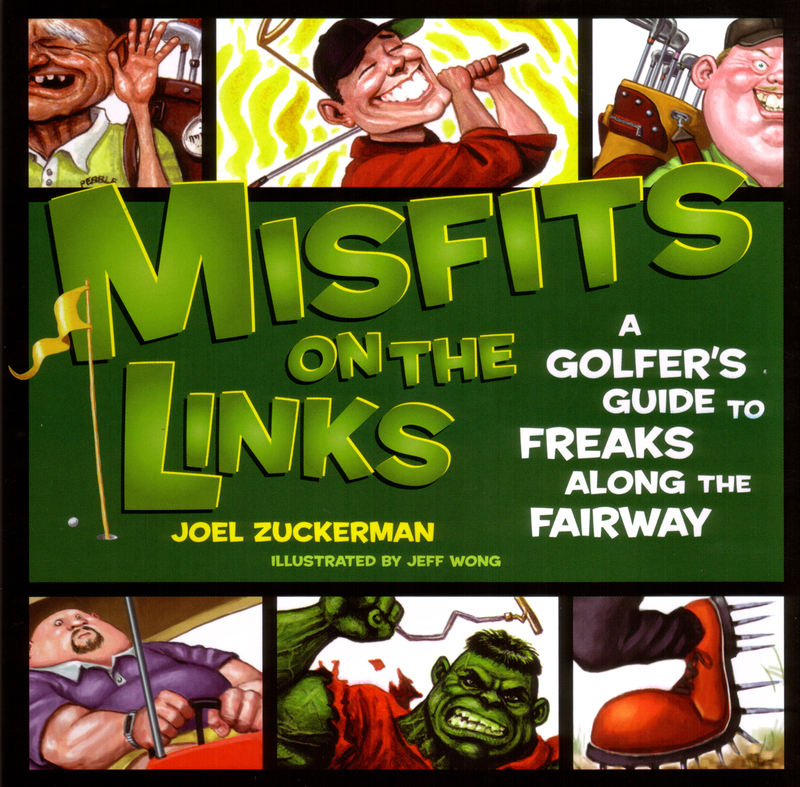 With its familiar and funny descriptions paired with clever caricatures, Misfits on the Links captures 40 readily identifiable species of golfers. Some of these freaks of the fairway are charming with their clumsy and clueless ways. Others—well—not so much. The Mulligan Man: Drops balls indiscriminately, appearing to sow seeds like a latter-day Johnny Appleseed. The Cart Gunner: Either slams brakes or guns gas pedal, always at the top of your golf swing. The Club Chucker: Releases clubs in helicopter fashion, endangering those around him. With its dead-on parodies, Misfits on the Links makes a great year-round gift for any golfer, and has become a staple in golf shops nationwide.